The Prairie States Mushroom Club was formed in 1983 by Dr. Don Huffman and Dr. Lois Tiffany. Don trained as a plant pathologist at Iowa State University. 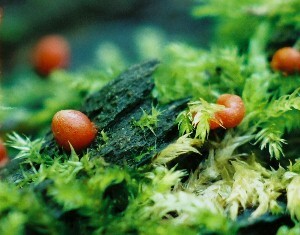 While working at the Michigan Biological Station he became acquainted with the noted mycologists Alexander Smith and Harry Knighton, founder of the North American Mycological Association. He attended his first NAMA meeting in 1971 and later served as the association's president. In 1981 he sought out Dr. Tiffany and Dr. Knaphus for help in recruiting amateur collectors to survey the distribution of morels in Iowa. An organizational meeting was held in 1983 at the Botanical Center in Des Moines and the 10-year morel study was launched with the help of the newly organized PSMC. From our constitution: PSMC promotes scientific and educational activities related to fungi and fosters the appreciation of wild and cultivated mushrooms. We advocate the sustainable use of mushrooms as a resource and endorse responsible mushroom collecting that preserves natural areas and their biological diversity. Its general purpose shall be the practical and scientific study of fungi and the gathering, dissemination and perpetuation of facts and knowledge on that subject. The primary objective shall be the study of specimens collected by members and others and the exchange of information with other organizations and professional mycologists. 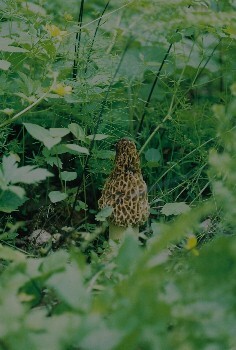 Morchella esculenta and Myxomycota Lycogala conicum. Photos by Glen Schwartz.